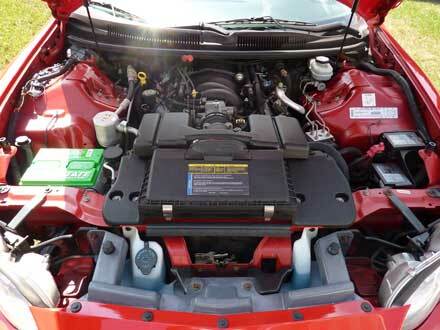 Red, aluminum LS1 5.7 V-8 with only 21K miles on it. 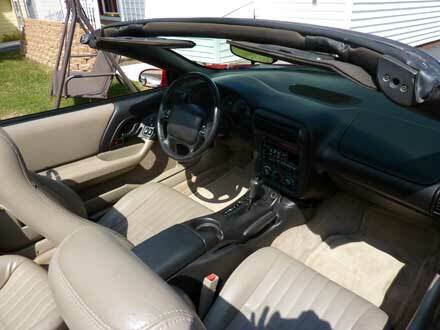 The car has 46K miles and the engine was replaced by GM under warranty at 25K miles. It is loaded with every option — including 325 HP, forced air induction hood, SS spoiler, high performance ride and handling package, tachometer, fog lamps, power drivers seat, neutral leather interior, neutral convertible top, AT, AC, PS, power discs front and rear, cruise, power windows, hatch release, remotes, leather steering wheel with radio controls, CD radio, positraction, floor mats, & PS cooler.